Hogue 74019, 2 Piece overmolded Hogue AK Handguard and Grip kits are a great way to dress up your AK-47 or AK-74. 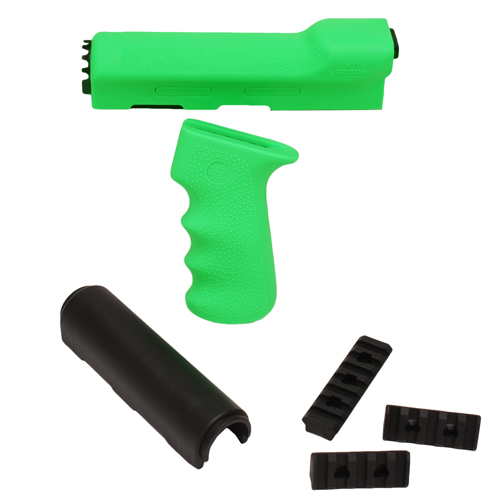 The rubber grips provide a more secure grip in any shooting condition. Hogue Zombie Green coloring glows in the dark to set off your favorite zombie slaying battle rifle. All parts are made in the U.S. and are 922R compliant. Note: As dimensions often vary between AK-47/AK-74 rifles of different origin, minor fitting may be required.